Really pretty. I love all the blues. What a lovely Christmas card Laney, a very elegant feel to it. Thank you so much for joining in at Stampalot Challenge this month, good luck and look forward to seeing you again. Thats just gorgeous Laney! Thanks for joining us at Sir Stampalot green and blue challenge. 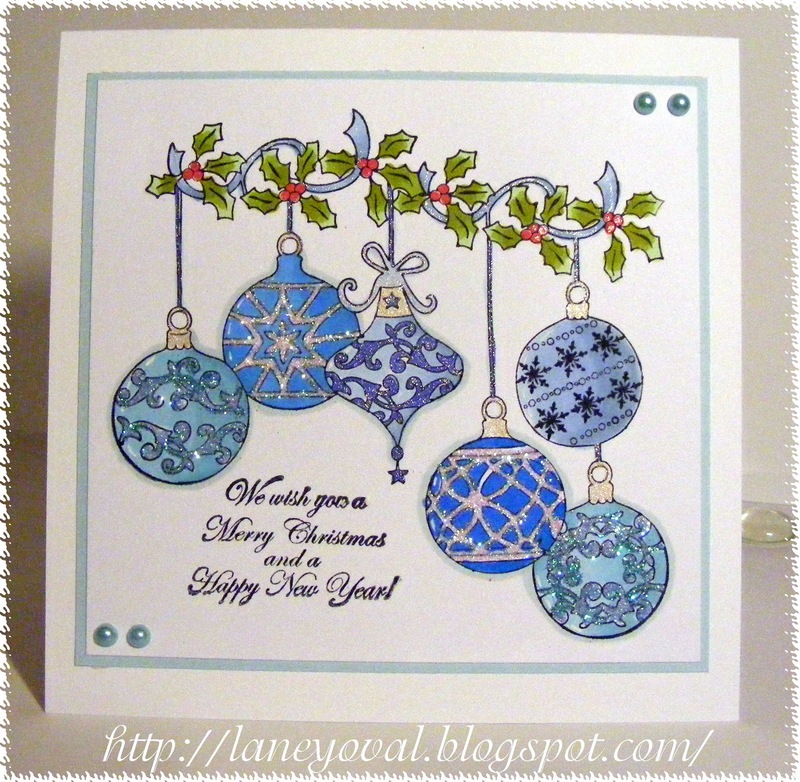 A fabulous blue and green Christmas card! I can see why you bought that stamp - it is gorgeous! Thanks so much for sharing with us at Sir Stampalot this month and good luck! This is very elegant Laney. Thank you for entering it into our blue and green challenge at Sir Stampalot this month. Laney this is fabulous. Love the baubles image and the beautiful colouring. Wonderful card. Thanks for joining us at Creatalicious challenge this month.